You might know Soulwax, and if you do, the individuals behind Soulwax and 2ManyDJs are the same masterminds. 2ManyDJs consists of two brothers David and Stephen Dewaele. The duo hail from Ghent, Belgium and have been making music since 1995. 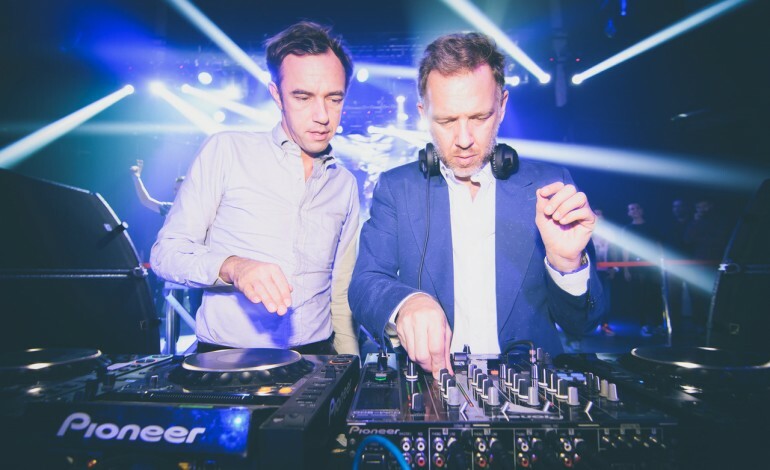 First, with Soulwax, creating electronica, alternative dance music and then with 2ManyDJs, taking on a different form of the genre: acid house. Recently, the duo released their seventh album titled Belgica, which is the 15-song soundtrack for a movie of the same name. The pair started out on their radio show back in Belgium called Hang the DJ and fans took notice of their mixes and broad knowledge of music. The began to produce high-profile remixes and gained popularity in the UK. Their sophomore album Much Against Everyone’s Advice made its way up to the UK’s top 40 list. Since then, the Dewaele brothers have been unstoppable in the electronic music world. The brothers remix some of the biggest names in modern music, such as Daft Punk’s Robot Rock, LCD Soundsystem’s You Wanted A Hit, and Tame Impala’s Let It Happen. Don’t miss these legends take over the turntables on April 20th at Public Works. Listen below to their incredible track, whose title doesn’t do it justice. Expect 2ManyDJs to remix all today’s modern music. Have a great time! Be there or be square.